It is a privilege to announce our new administrative secretary- Nicole Reyes. She has been working at the House of Hope as a volunteer, and is passionate about the ministry. She is currently in charge of the media (sound and video projection) in the activities on Wednesdays, Saturdays and special occasions. She loves to cook and is in charge of cooking for 80 people every Saturday! She has experienced the love of God in deeper and more powerful ways, and she wants to share the love of Jesus to the community of La Pintana. We got the blessing of interviewing her, and she shares with us her experience in this new step in life. 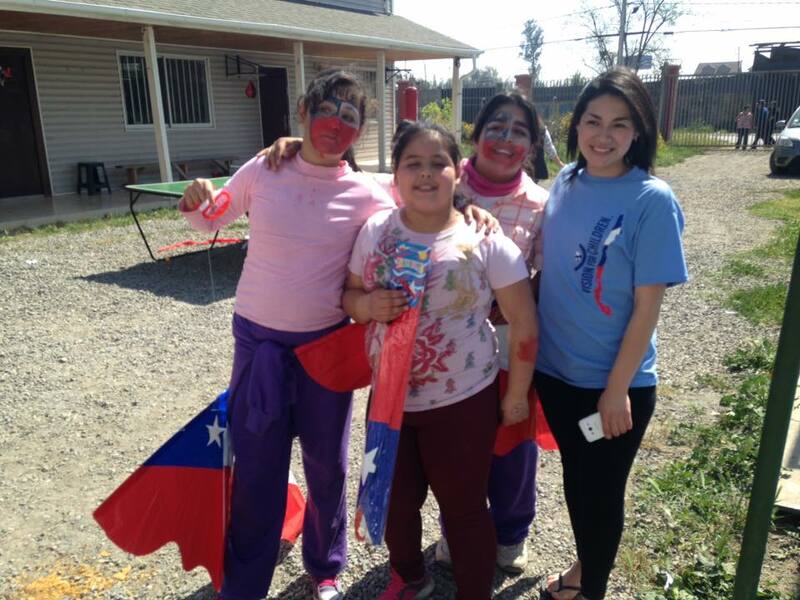 1.Tell us how you came to Casa Esperanza and how it has influenced your walk with Christ? I knew about Casa Esperanza through Estefania. We were college buddies. In previous years, I had experienced situations of drugs, alcoholism and several other problems that led me down a wrong path. I had no relationship with my family. Estefania invited me and gave me the option to come to Casa Esperanza and I agreed. Casa Esperanza gave me the opportunity to know about Christ. The consumption of drugs and alcohol was because I felt alone but when I met Christ I realized that the best refuge is Him. 2. 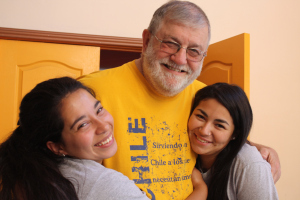 How did you meet Christ and what does it mean for you to serve Christ in Casa Esperanza? When we are at Casa Esperanza, we have the contract to go to church and attend the devotionals. I did not believe nor did I know anything but I had the respect. Every time I was in the devotionals I had to fulfill the contract. Little by little, I was feeling a desire to have a relationship with Jesus and have my own devotionals. Above all, the people who work here made me have a commitment to the church and learn more about Jesus. And then I felt the call to serve Him. I am grateful and happy to be able to serve Jesus. 3. God has put the desire of your heart to serve as Administrative Secretary, tell us how you feel about it. What does this role mean in this new stage of your life? It is a blessing to be able to serve the Lord and be able to work on what I like, just as I would have done without asking for anything in return. It is a challenge and there is much to learn. 4. What does it mean to be part of Casa Esperanza and what plans would you like to incorporate into your role as Administrative Secretary? I need to spend more time with the girls, such as visiting and eating meals with them. I didn’t do it much, so now I feel from God that I should incorporate those things more into my lifestyle. I was one of the girls before so now I am thinking of myself as one of them again. I want to show Jesus Christ’s love because I was in that situation. I know it is a big challenge, but I feel very blessed and happy to be here with the girls at the House of Hope. Previous Post Meet our Team!